Twisted Telco, LLC also provides low voltage cabling. Whether your project is wiring an entire office or you just need a few cable runs, we are here to help. Our projects also include full service structured cabling with wire management. 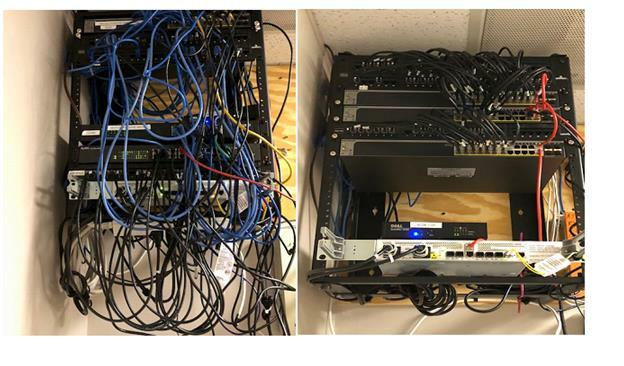 Has your telecommunications closet gotten disorganized over the years? Let us clean your closet! We will remove unused telecommunications wires and equipment. We label all the equipment being used with not only the device names, but also the IP address which can easily resolve issues in the future. We also provide services such as re-labeling all station cables.